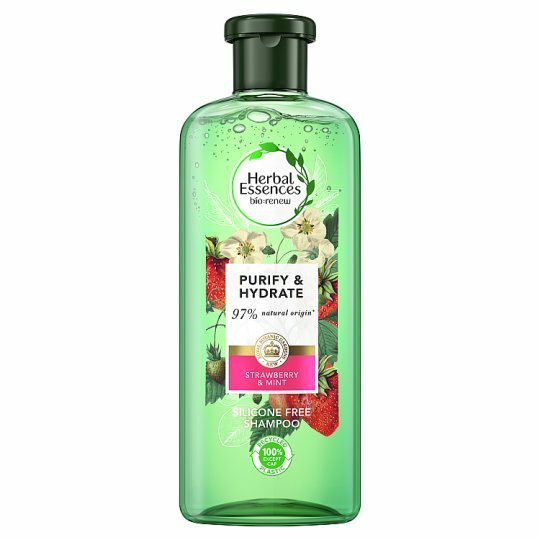 Herbal Essences bio:renew White Strawberry & Sweet Mint Shampoo and Conditioner help bring hair back to life. They’re crafted with a signature blend of essential antioxidant, aloe and sea kelp. Herbal Essences bio:renew helps purify & protect against what your hair gets used to over time. The result? Soft, free-flowing hair. 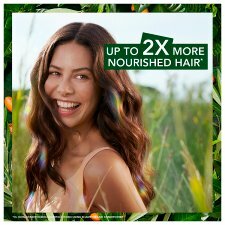 Your hair will get soft and free-flowing because Herbal Essences bio:renew formula continues to work with each wash. Plus, you’ll notice your hair shining and being fresh. From the first pop of the cap, our White Strawberry & Sweet Mint Shampoo will take you on a fresh multi-layered scent experience. Immerse yourself in the scent of crisp white strawberry with juicy red fruit accords and invigorating mint. Simply apply shampoo to wet hair, massage into a creamy lather, enjoy the scent, and rinse. For even more beautiful hair use with Herbal Essences bio:renew White Strawberry & Sweet Mint Conditioner. Simply apply shampoo generously to wet hair, massage into a creamy lather, enjoy the scent, and rinse. For more beautiful hair, use with Herbal Essences bio:renew White Strawberry & Sweet Mint Conditioner.